With bank tellers replaced by Ambassadors and Money Coaches, it’s safe to say something different is brewing in Boston’s newest Capital One Cafés. These Cafés are different kinds of banks, built on digital tools, innovative products and human connections to help Bostonians improve their relationship with money and build financial confidence. From fee-free checking and savings accounts, to money and credit management apps like CashTapp, Level Money and CreditWise – Capital One is introducing personal banking concepts and digital innovation to physical coffee shop environments, fulfilling the desire for meaningful human interaction that the convenience of a computer screen simply can’t always provide. 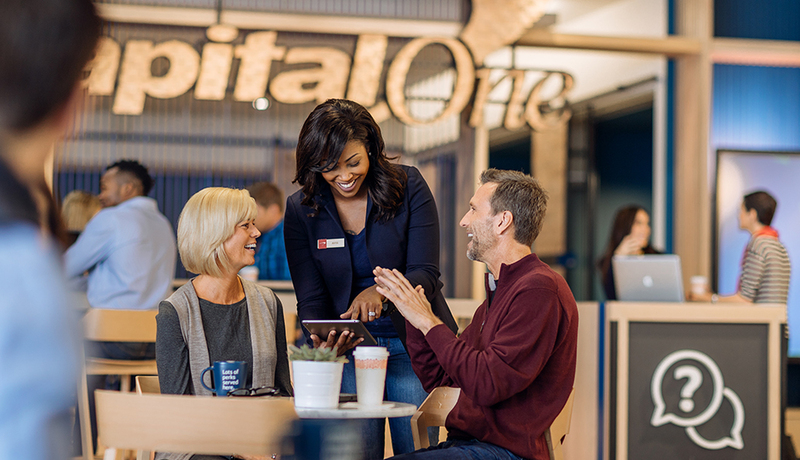 With so many unique offerings, we were most attracted to Capital One’s free hybrid financial/life coaching sessions, which are open to everyone – including non-Capital One customers. After attending our first 90-minute appointment, we discovered directly what reimagined banking looks like. Free money coaching open to the public at Capital One’s Harvard Square Café, helps chart personal values. Our friendly Money Coach in bustling Harvard Square (on 24 JFK Street) offered us objective advice and thoughtful assistance, defining goals based on our personal desires for the future. The innovative experience allowed us to gain new perspectives about how we handle money, and had us address things like what we truly want in life. The free session opened our minds and left us excited for a future 60-minute session (which, by the way, we were never pressured to schedule at any point) to evaluate our progress and continue paving our personalized path. After all, the Café’s Money Coaches make follow-ups easy since they note valuable insights and record every session so that when you return, you pick right up where you left off. While we attended a 1:1 session, workshops are available at the Harvard Square Café too – covering everything from talking about money with your significant other to how work impacts finances – all in a group setting. Visit www.capitalone.com/local/moneycoaching for more information. We didn’t stop at free Money Coaching. Attending in-person or live streamed events hosted at the Cafés is a great way to connect with the community, learn about specific areas of focus, and network—both professionally and socially! On Giving Tuesday (November 29), we attended a #CapXTalk, a live streamed panel discussion that brings together thought leaders and experts from varying background to discuss financial topics that are meaningful to real people. This particular #CapXTalk was moderated by TODAY Show digital trends contributor Mario Armstrong and centered around Investing and Impacting the Community for Good, featuring an in-depth discussion with Michael Egan of The Red Sox Foundation, Jessica Cox of Harpoon Brewery, and Catherine Foca of the Capital One Foundation – sharing perspective on Corporate Social Responsibility and how Bostonians can impact the community for good. Each panelist discussed how his or her organization allots money and time to address social issues, as well as how they strategically partner with the most appropriate local charitable foundations to reflect their own values. The gist? 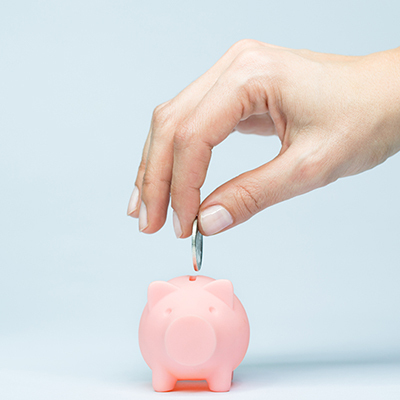 We learned to be more mindful of our actions with money, and left feeling inspired to measure our own success in terms of not just financial performance, but how we give back. With more #CapXTalk panels and other local gatherings being held in Cafés across the Commonwealth, Capital One is encouraging questions from the community – ultimately helping customers apply innovative new concepts to their everyday lives in a way that’s non-salesy and far more appealing to younger crowds. With five locations already in Back Bay, Coolidge Corner, Downtown Crossing, Harvard Square, and Ink Block (the old Boston Herald building) and three additional locations planned to open in Greater Boston in the coming months in Boston’s Seaport (101 Seaport Blvd. ), Hingham (92 Derby St.) and Lynnfield (600 Market St.), there’s an interesting new financial center near you, where Capital One Ambassadors are putting people at the heard of what they do. Get a taste of what’s brewing first hand and see for yourself what re-imagined everyday banking looks like. For more information on the Cafés in Boston and to find one nearest you, visit https://www.capitalone.com/reimagine/.